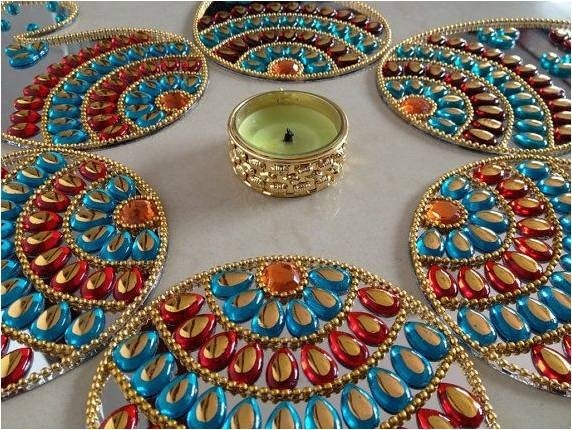 No other form of decoration can ever illuminate and brighten an Indian house than Rangoli. Just every Indian would agree to this, isn’t it? Since childhood, I have been accustomed to seeing how young girls and women of the house decorate their courtyard or the floor at the front door with colorful and vivid powders, meticulously designed to form various shapes and sizes, thus enriching a dull house during various festive occasions. Almost every Indian ritual incorporates Rangoli for adorning the house and it is in a way used to please and welcome the Hindu deities and guests during different auspicious occasions and festivals like Diwali, Holi, Ganesh Chaturthi, Pujas and Marriages. There are varied ways to make a Rangoli and I would like to list the 8 most known to me in this post. 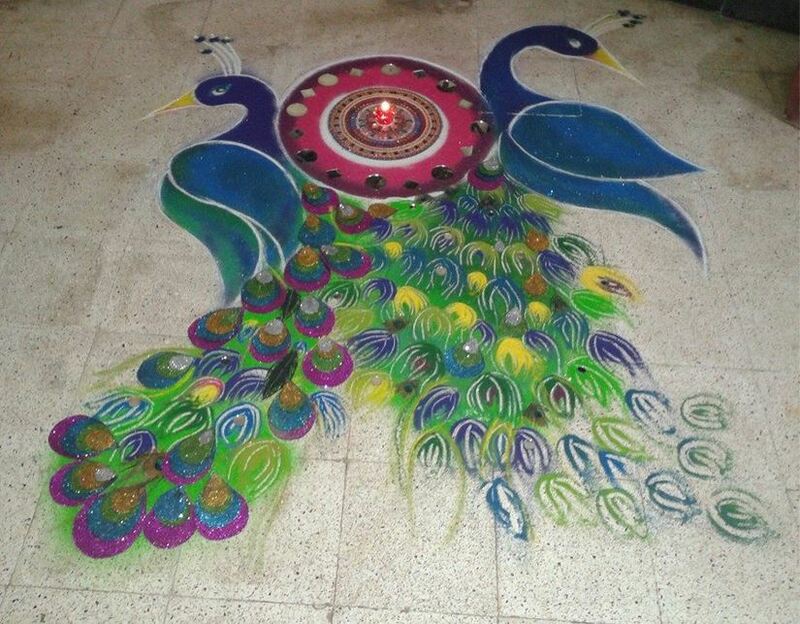 It is the most common and known form of Rangoli and can be seen in almost every home during various occasions, and is made with the help of colorful sands. It is also known as evergreen form of Rangoli. 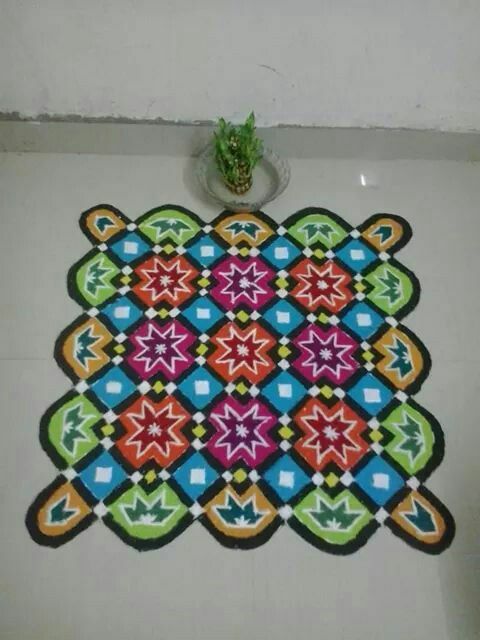 This type of Rangoli is mostly adopted by South Indians and is made by making dots in equal lines and numbers to form geometrical patterns like rectangle, square, circle or star, which are then filled with different colors. 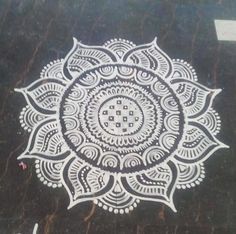 This type of Rangoli grace elaborate occasions or events and are seen mostly in Schools, Colleges, Government organizations, or Marriage halls. 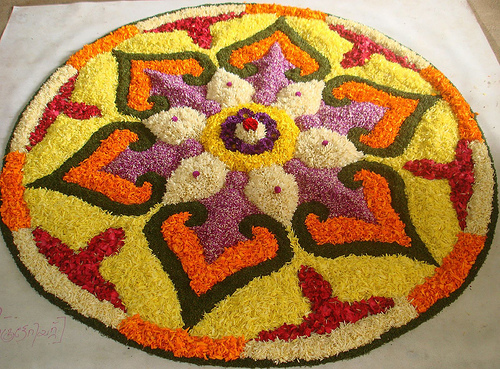 It is made using colorful petals of various flowers, like roses, marigolds and lotus. It is not only pleasing to the eye but also fragrant. It is the most ancient form of Rangoli made using wheat flour, vermilion and turmeric, on occasions like Pujas. It is considered to be pleasing to the deities. This form of Rangoli can be used to decorate the walls or floor as it comes with fixed patterns and shapes like birds, circles, flowers, leaves, and so on. It is considered as one of the most auspicious and celebrated form of Rangoli in Bengal during various Puja or as it is made using grinned paste of rice and can be formed or designed using only three fingers. 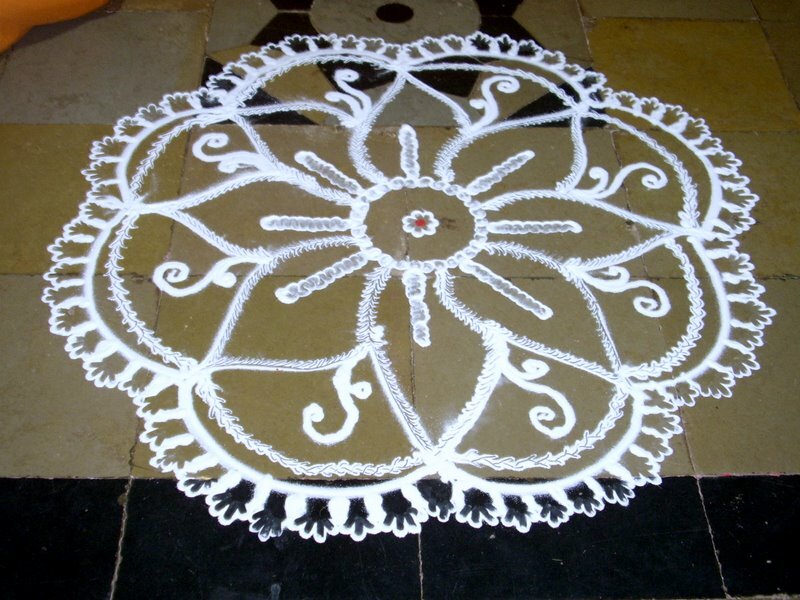 This form of Rangoli can be made and executed quickly as it includes ready-made painted glasses and is not much widely used. 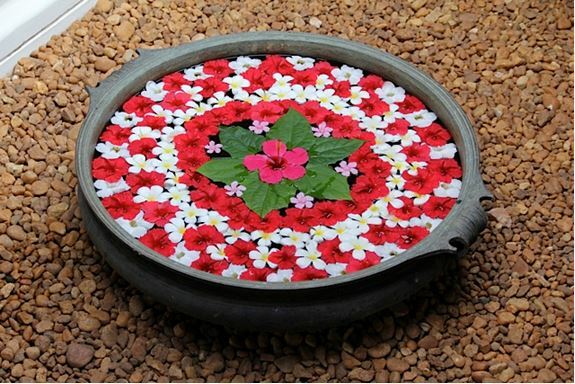 It is the most modern and youngest form of Rangoli, wherein diyas, candles and flowers float on a water bowl. It is indeed eye-pleasing. Aren’t these designs simply mesmerizing and beautiful? 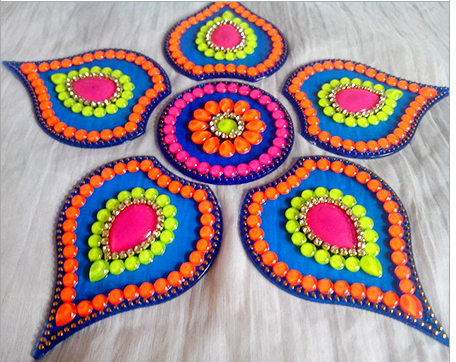 Rangoli Designs are simply ecstatic, graceful and full of life, isn’t it? Have you ever tried your hands on Rangoli? Or may be, used a certain application to aid your desire? Share your Rangoli experience in the comment section. I have read about that before but never used, will try! I liked the freehand rangoli, floating rangoli and alpana the best. Wowwww……never seen such varieties of Rangoli!!!! Next Next post: Why you need a Social Media Marketing Strategy and how to start one!